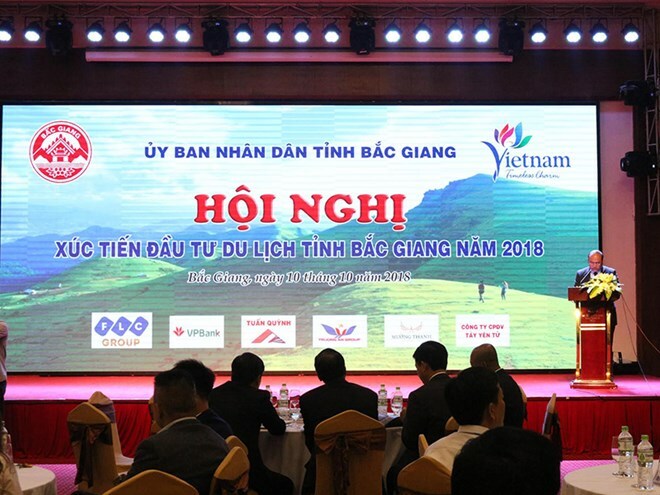 Bac Giang (VNA) – The northern province of Bac Giang has successfully secured more than 1.5 billion USD in 16 tourism projects at an investment promotion conference held in Bac Giang city on October 10. 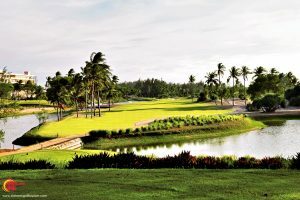 The investments – including the Khuon Than resort, sport, and entertainment complex project valued at nearly 14 trillion VND (603.35 million USD); an eco-urban area project in the south worth 10.2 trillion VND (439.5 million USD); and a high-end housing and service complex project with a total capital of more than 2.3 trillion VND (99 million USD) – are expected to give the locality a makeover. 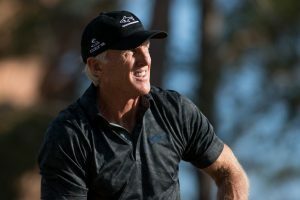 The projects will be funded by a line-up of giants like FLC Group, Asia-Pacific Investment, Truong Giang Golf JSC, Thanh Hung Group, and Bac Giang Tourism JSC. Minister of Planning and Investment Vu Dai Thang affirmed that the ministry will continue its support for Bac Giang province so that the locality can complete socio-economic targets and improve the efficiency and quality of investment attraction. However, the province should pay due attention to developing new tourism products, he said, adding that the ministry will facilitate conditions for Bac Giang province to participate in investment promotion programmes and introduce its tourism potential. 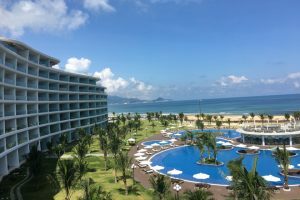 Meanwhile, Deputy Minister of Culture, Sports, and Tourism Le Quang Tung said that branching out standout tourism products together with bettering service quality are crucial for the province’s tourism development. As Bac Giang sets its sights on becoming famous for its spiritual-cultural-historic tourism attractions, Chairman of the provincial People’s Committee Nguyen Van Linh has committed to creating favourable conditions for investors to build hotels, restaurants, and shopping malls as well as developing potential tourism sites like Suoi Mo and Dong Cao. The province will channel focus to preserve relics, intangible cultural heritage, and historical and cultural space attached to the Truc Lam Buddhist sect, while developing tourism services at Vinh Nghiem pagoda and Bo Da pagoda. Located in the Lang Son-Hanoi-Hai Phong-Quang Ninh economic corridor and bestowed with stunning natural landscapes like Tay Yen Tu Natural Reserve, Khe Ro primeval forest, Dong Cao plateau, and Khuon Than lake, Bac Giang province poses huge potential to build various kinds of tourism products. In addition, the province is home to more than 2,200 historic and cultural relic sites, including Quan ho (romantic duet singing) which was recognised as a UNESCO Intangible Cultural Heritage of Humanity, and Ca Tru which was inscribed in the UNESCO’s list of Intangible Cultural Heritages in need of urgent protection.